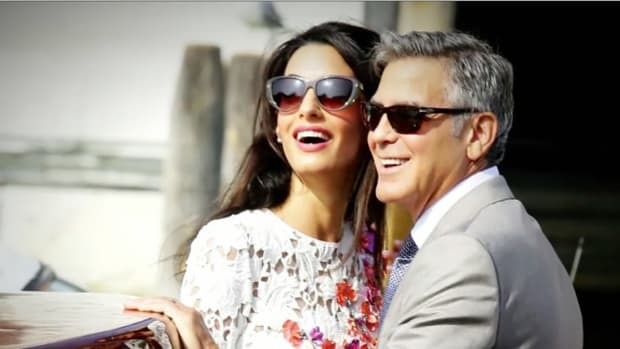 The world’s most infamous bachelor, George Clooney, is soon to be a father. Women everywhere should take note. Updated: As of February 9, reports that Amal Clooney is pregnant with twins have been confirmed. The Talk, a daytime show, reported the news and said Clooney is due in June. 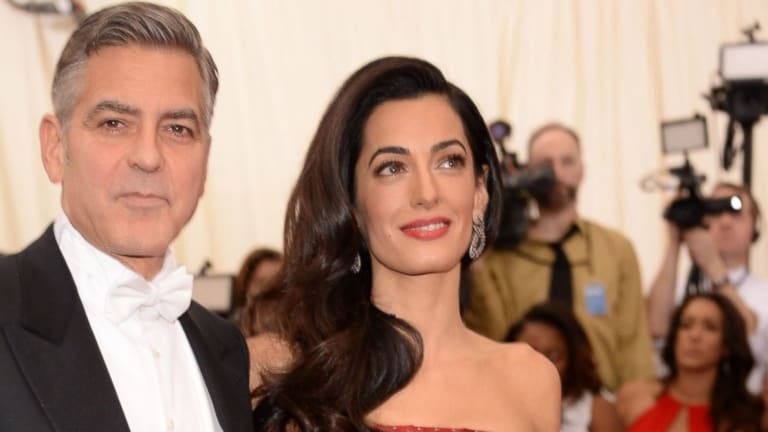 Amal Clooney, the 39-year-old lawyer and civil rights activist married to 55-year-old movie star George Clooney, may or may not be pregnant. In Touch, a major arbiter of celebrity "news," claims to have the exclusive details. On January 18, the outlet published accounts from an inside source who confirmed the pair is expecting twins—a boy and a girl. Vogue on the other hand, says the speculation that resulted from Amal wearing a loose-fitting dress and maybe donning a small belly is "pathetic and sexist and deeply objectifying." 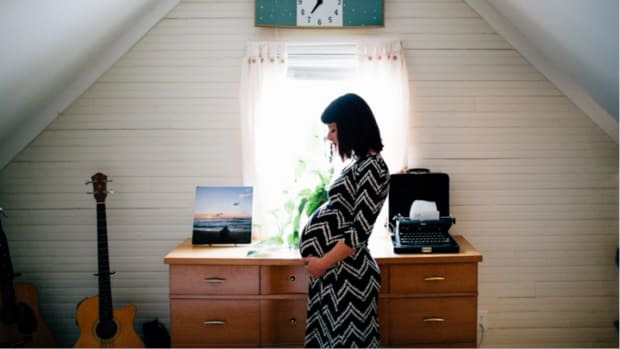 Whether the pregnancy is true or not, and issues of "Bump Watching" aside, the In Touch story has a deeper significance for women everywhere, namely because of what the insider said about George. The source claims, "He’s gone from never wanting to be a father to being totally excited about Amal’s pregnancy." 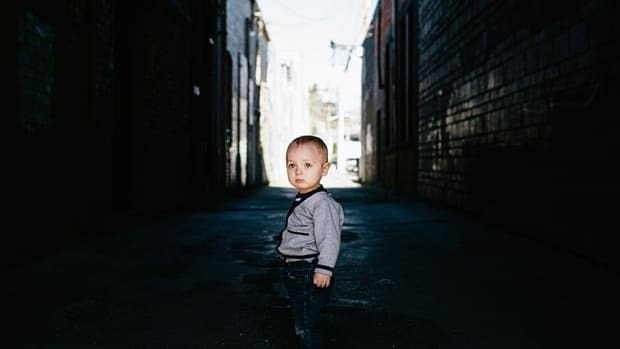 This raises an issue that many women grapple with as they date and seek marriage: Will a man who says he doesn&apos;t want kids ever change his mind? This is a very real and very important point of compatibility that should not be taken lightly. 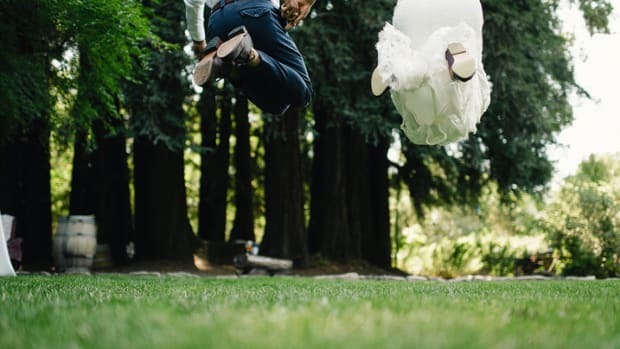 Lisa Bahar, a southern California-based marriage and family therapist, tells Verily, "Hoping to change someone is not a good idea, particularly when it comes to larger commitments such as children." Bahar went on to say: "There are a lot of different factors that may be taking place in a man&apos;s thought process aside from the general &apos;I don’t want children.&apos; This is not to say it is abnormal to not want children or normal, there are just variables based on emotions, mental health, experience, commitment, and being self-aware that brings a person to a decision at any given point in their lifetime." 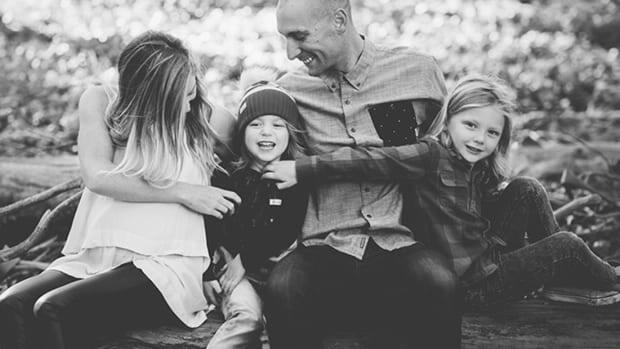 As we&apos;ve shared on Verily many times before, talking about your stance on kids is one of the five most important conversations to have before you marry anyone. As relationships editor, Monica Marshall, advises: "This conversation will have a huge impact on your marital satisfaction. But it&apos;s not just a questions of &apos;Do you want them?&apos;...You and your guy should discuss how many kids you would be open to having, and your thoughts on family planning. If you do use family planning, what method do you prefer? How important is it to you that you have children? Are you open to adoption? Disagreement on any one of these questions has the potential to cause serious distress and unhappiness in your marriage." Josh Klapow, clinical psychologist and host of The Web Radio Show, a broadcast all about untangling relationship problems, says unequivocally, "Do not move forward with a relationship if you want children and he doesn&apos;t unless you are 100 percent secure in living with the possibility that you will not have children." Klapow says, "People change in a relationship, but the relationship, itself, is not a tool or a leverage instrument." None of this is to say that it doesn&apos;t happen. Men do, in fact, change their minds about children. There&apos;s even an "Ask Men" reddit channel devoted to stories of newfound fatherhood dreams. One contributor, in particular, shares a best case scenario—a result many women in this predicament wish for. "In my younger days, I never thought I wanted kids," the user wrote. 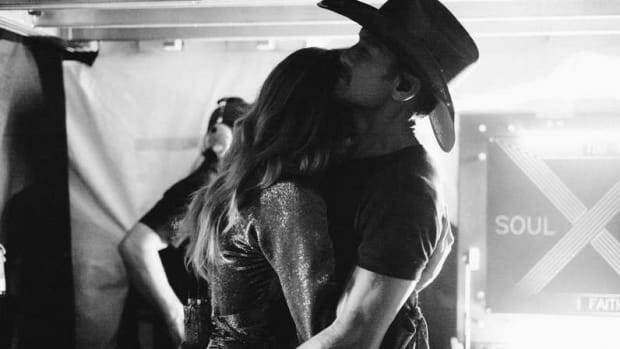 "They&apos;re expensive, unruly, and a huge responsibility..." But then, he wrote, "I met a very special woman a while ago and feel deeply in love with her. She helped me [do] things I didn&apos;t know I was capable of and I felt secure in life...I want kids now!" But for all the women out there who find themselves hoping to move forward with a man despite disagreeing on the very big topic of parenthood, the professionals say to proceed with extreme caution. Klapow warns: "If you pursue a relationship hoping that he will change his mind, you will either consciously or unconsciously try to get him to. That pressure of you wanting things to be different can work against you. He may show resentment, may remind you that you entered the relationship knowing his views, and he may feel that you lied to him by accepting his wishes but in reality wanting them to be different." 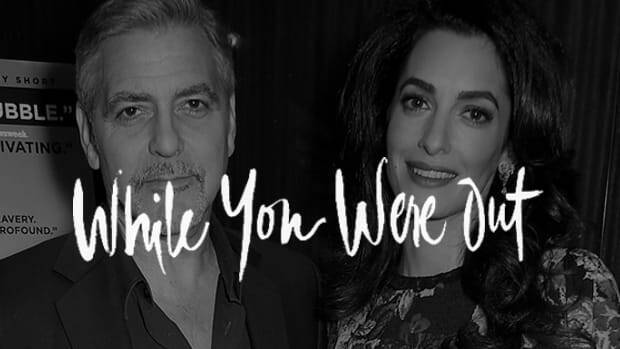 Given that George, an infamous bachelor prior to his 2014 nuptials, took the leap of marriage with Amal, it&apos;s not unfathomable to think she very well could have been a catalyst for him to suddenly want kids as well. But, as with all things that happen in Hollywood, we&apos;d do best to not be clouded by fantasy. In reality, relationships built around the hope that someone will fundamentally change do not bode well. As Bahar put it, "The reality is that people change, but the goal is to not assume they will change to what you want." And the bottom line according to Klapow? "Entering with the mindset that the relationship itself will change his views about children only sets you up for failure and disappointment."